Gold has been used to store wealth for more than 3,000 years. Why? Because gold is very rare – and gold today is becoming ever-more difficult to find and mine. Gold is six times more rare than platinum, and 18 times rarer than silver. Gold is also very nearly impossible to destroy. Unaffected by oxygen or hydrogen sulfide, gold cannot rust, tarnish or decay. Nor will gold melt below 1063 degrees Celsius. Gold is only dissolved by cyanide. After 30 centuries of gold mining, new gold deposits are becoming ever harder to find. South Africa, the world's largest gold producing nation, has seen its gold output more than halve in the last decade. Since 2008, the cash cost of mining one ounce of gold has doubled for North American gold miners. The rate of inflation for gold miners' all-in costs worldwide reached 27% last year. The total amount of gold above-ground, however, is growing by just 1.6% per year. The guide to gold includes articles that explain why gold is the original tool for trade, why every single gold based currency has failed, how much gold has ever been mined and why it’s rarity leads it to be a useful store of wealth/value. The guides also explains the key differences between unallocated and allocated gold and the importance of not only being able buy gold swiftly but also to be able to sell gold without delays or price penalties. You will also be able to learn about alternative methods to gain exposure to gold and fluctuations in the gold price such as through gold bars and coins, certificates, ETFs, futures and mining stocks and shares. You will quickly learn and understand the pitfalls of some of these methods to owning gold. The guide to gold also contains a nine-point checklist for gold buyers for consideration prior to purchasing gold for the first time. You will discover the importance of Good Delivery gold bullion bars and their role underpinning the professional bullion market. We explain why BullionVault’s membership of the LBMA (London Bullion Market Association) is advantageous to you and why owning insured gold safely in a vault enables you trade gold 24/7 even when the markets are closed. What is the London Gold Fix and how does it work? We will explain how individuals can access the fix through BullionVault and trade at this daily price as desired. The majority of private investors see gold as insurance against bad central-bank policy, high government spending, and financial instability. Gold tends to appeal strongest when real returns on cash and bonds are negative and falling, whether or not nominal interest rates are rising. Prudent gold investors ensure that they pay the lowest costs to purchase and are able to sell their gold quickly and easily for full value as circumstances change. Read BullionVault’s independently collected reviews and case studies to understand the type of person that fully researches the options available and then decides to purchase gold using BullionVault, the reviews often highlight the speed and efficiency of their bullion trading. 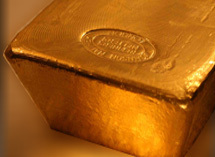 BullionVault provide gold market analysis, investment research and daily gold price commentary and forecasts in Gold News. You will find articles from leading market commentators and the also the Gold Investor Index – BullionVault’s proprietary index of gold investor sentiment. You can also open an account and subscribe to receive the Daily Market Update email to your inbox each working day. then it's time to get to grips with BullionVault. Or open a BullionVault account and claim your 4 FREE grams of silver. It's ready and waiting for you in your personal storage facility at one of our professional market bullion vaults.